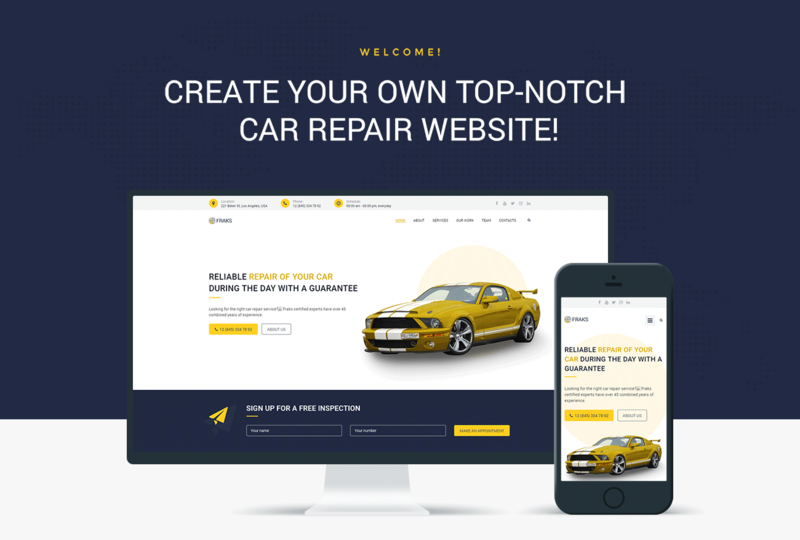 Are you looking for a way to promote your car repair services in the most efficient way? Fraks is a perfect solution according to your needs. 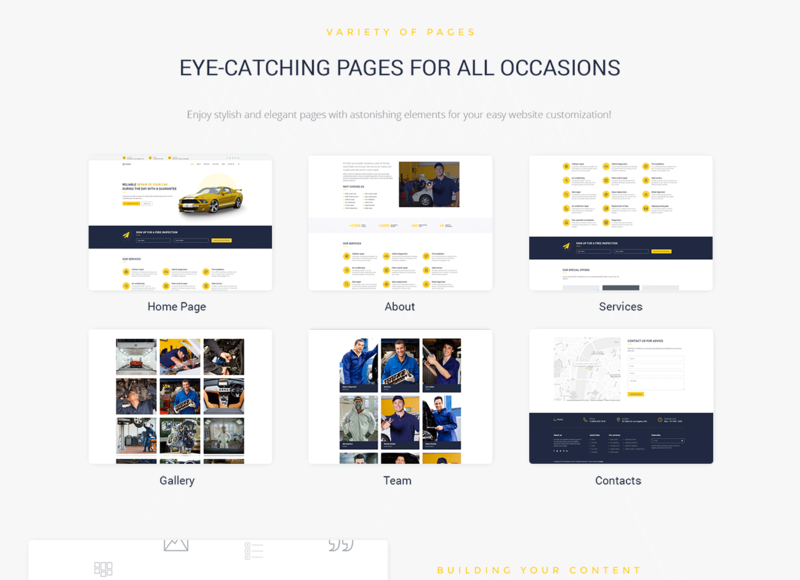 Using this theme you will create a professional website with a modern appearance and intuitive interface. You will be able to inform about your company, range of provided services, special offers and much more. Moreover, you will customize your website as you wish using Jet plugins bundle for Elementor page builder easily and quickly. With JetTabs plugin you will organize the content into compact tabs and accordion blocks. Using JetElements plugin you will add attractive, useful widgets to create different kinds of content. JetThemeCore plugin will allow creating custom headers and footers in a few clicks, also you will be able to select pre-made sections on different topics and insert into pages without any coding knowledge. You will implement additional functionality to headers and footers with JetBlocks plugin. 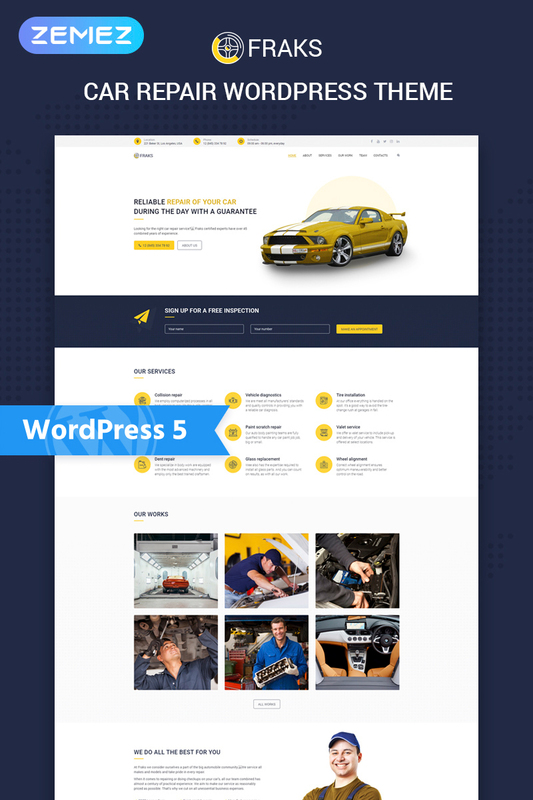 You will attract more clients and boost your car repair business using a responsive Franks theme.